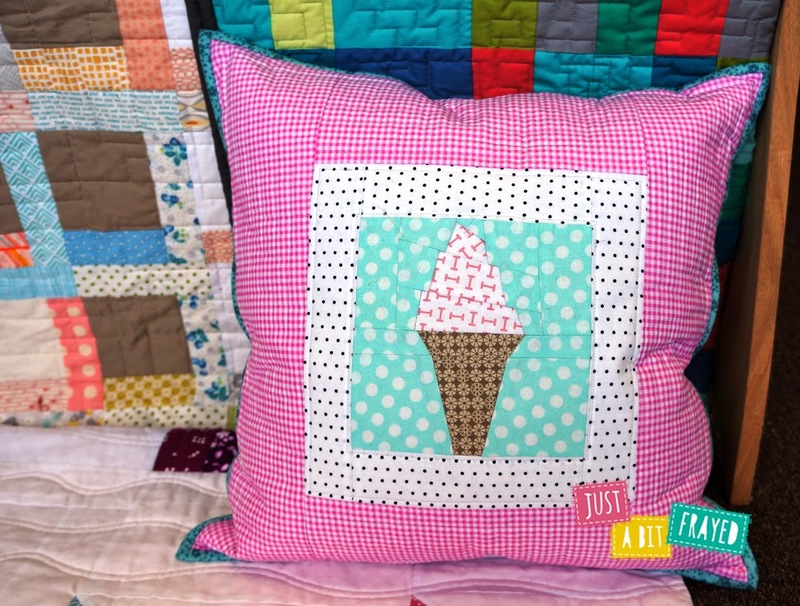 just a bit frayed: 318 Patchwork Patterns - Ice Cream Pillow! 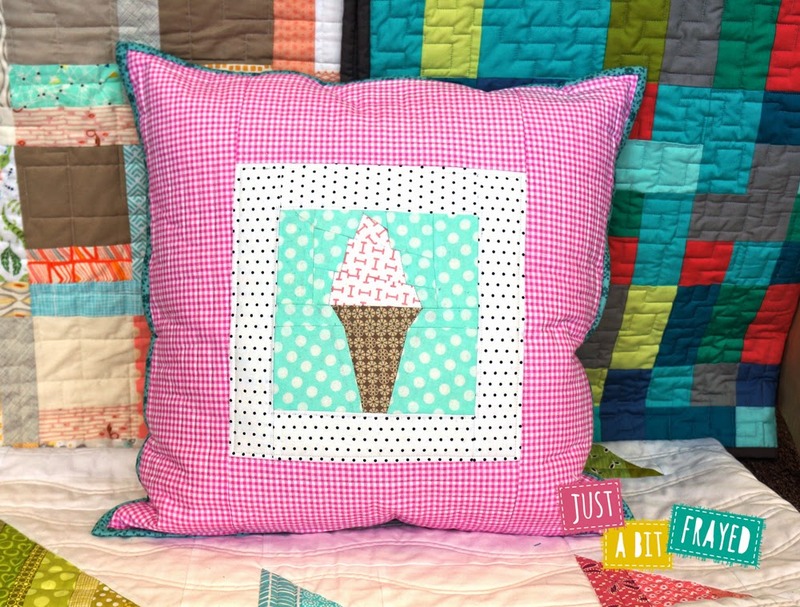 318 Patchwork Patterns - Ice Cream Pillow! Want to see an adorable pillow!?! I am so excited about how this pillow has turned out. First of all, I have to apologize for this post being late. I have a crazy busy the last few weeks! 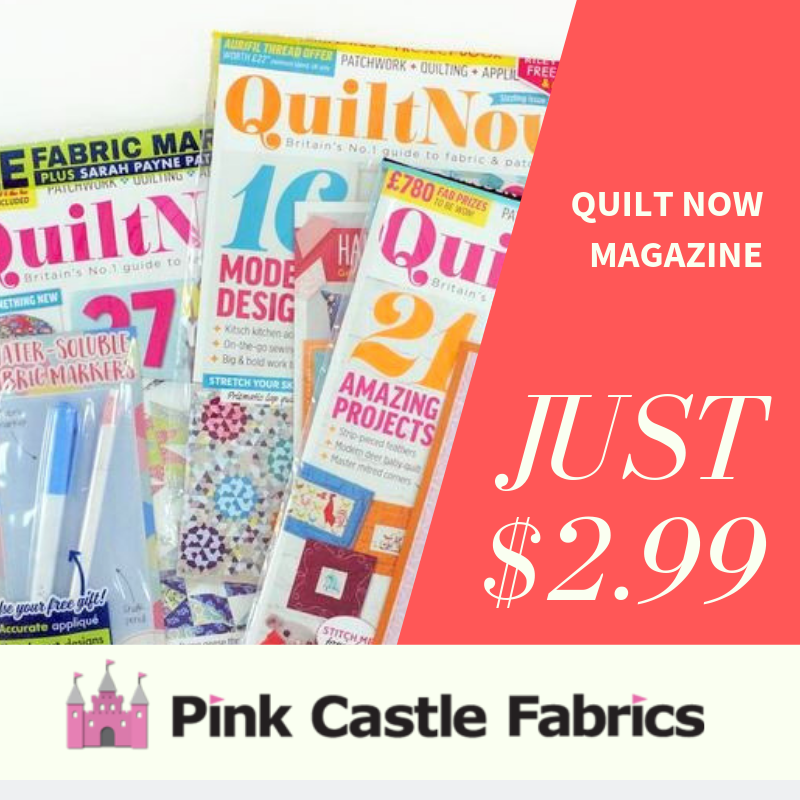 We had Quilt Market and then we had to move our entire shop! I wasn't planning on the move to be that week but it just worked out that way. Anyway! I was asked by Allegory from A Thousand Needles to be a part of the 318 Patchwork Patterns quilt along (#pp318qal). I'm really excited about this book. Written by Kumiko Fujita (designer of the popular First of Infinity fabric for Lecien), this book was originally only offered in Japanese. 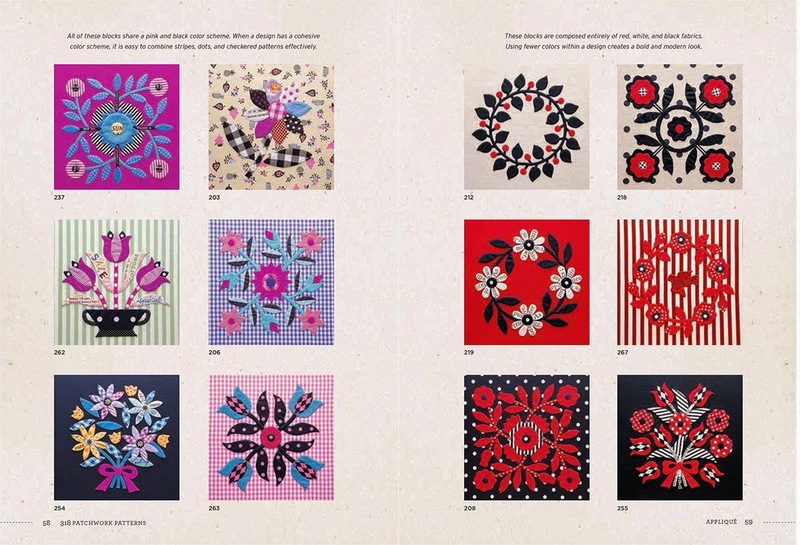 Like the title implies, it has 318 patterns for paper pieced and appliqued blocks. Really really cute ones! This book has been out of print and hard to find for years. Copies in Japanese are selling for $150! The lovely ladies at World Book Media have translated it into English and it's back in print again! For the more reasonable price of $21.99. I have been wanting this book for years now so I was REALLY excited to get my hands on it. Some of the amazing applique blocks! Wouldn't these make a cute Halloween table runner??? 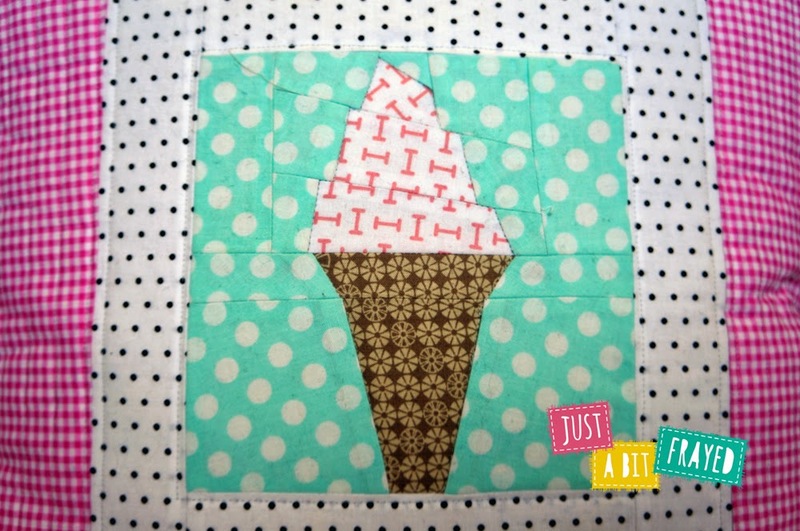 I chose to make block #5 Ice Cream for the quilt along. 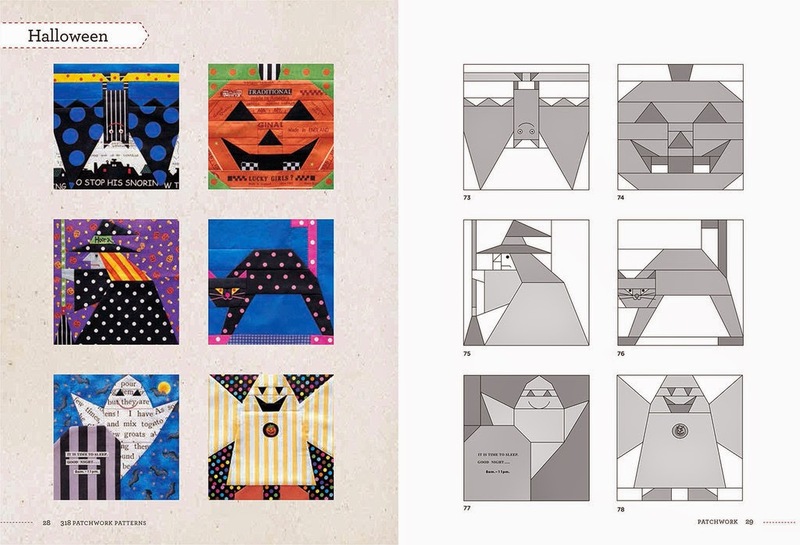 Allegory has a really nice tutorial on her blog on how to use freezer paper for paper piecing. I made my block 6" finished and I love it so much I made it into an awesome pillow. 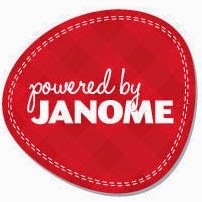 The colors match my logo...! This was my first time binding a quilted pillow. It was really easy to do. Just like binding a quilt. I hand stitched it to the back too! I like the way this looks. It gives a nice frame to the pillow as well. 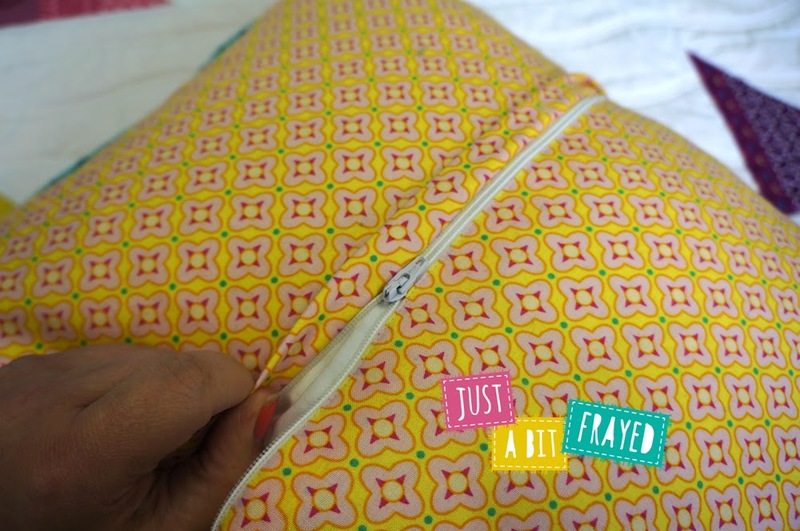 There's a tutorial on how to do this at Sew Mama Sew. I also added a zipper closure on the back with a little flap to hide it. I love the way this looks. It is NOT hard to do. Do not be afraid of zippers! 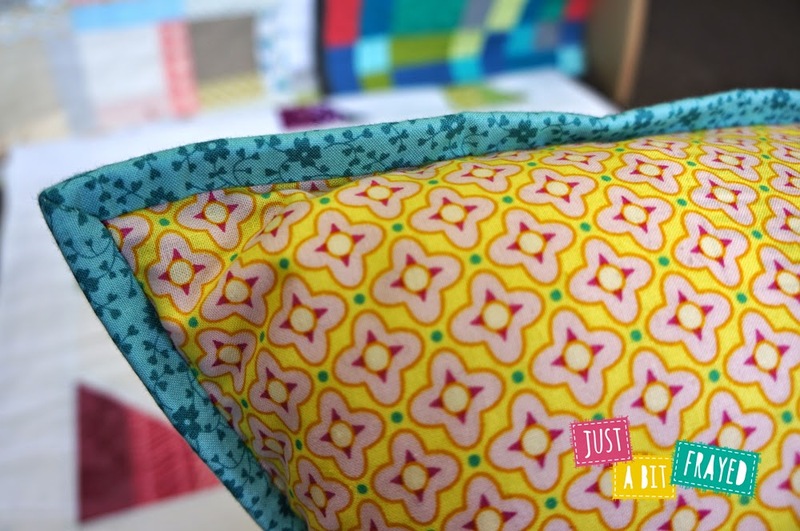 There are great tutorials at Esch House Quilts and Sotak Handmade. I will never make another envelope closure again. All the raw edges are enclosed binding it and adding the zipper finish and it makes it look very professional. 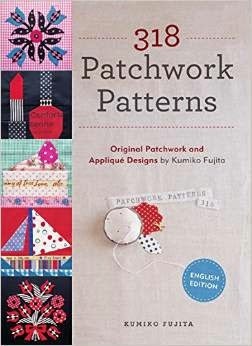 I hope this inspires you to try some cute paper piecing patterns and to get a copy of the 318 Patchwork Patterns book! I'm already planning a little Cake pillow to match! Such a sweet pillow! I love this book and I'm having so much fun with this QAL.